For the first time at a major Australian sporting event, Pride House, which offers a safe and inclusive area for LGBTIQ+ athletes, volunteers and visitors, has opened its doors at Surfers Paradise. First established in Vancouver during the 2010 Winter Olympic and Paralympic Games, the Gold Coast Pride House has been created by local LGBTIQ+ (lesbian, gay, bisexual, transgender, intersex and queer) groups. Endorsed in 2012 by celebrity ambassadors including Stephen Fry, David Furnish, and Peter Tatchell during the London Olympics, Pride House has made Australia its temporary home for the 2018 Commonwealth Games. Hosted by Team Rainbow, a Queensland-based, not-for-profit organisation, and with the support of the Games organisation, Pride House offers a safe and inclusive space for the LGBTIQ+ community during major international sporting events. Each day, Pride House is offering education and awareness sessions, social events, and a program of visual art and entertainment. Pride House Gold Coast project manager Matt Hall said the house acted as a “voice for LGBTIQ+ communities throughout the Commonwealth”. “It is illegal in 69 per cent of the Commonwealth to be LGBTIQ+, and even punishable by death in some countries,” Mr Hall said. 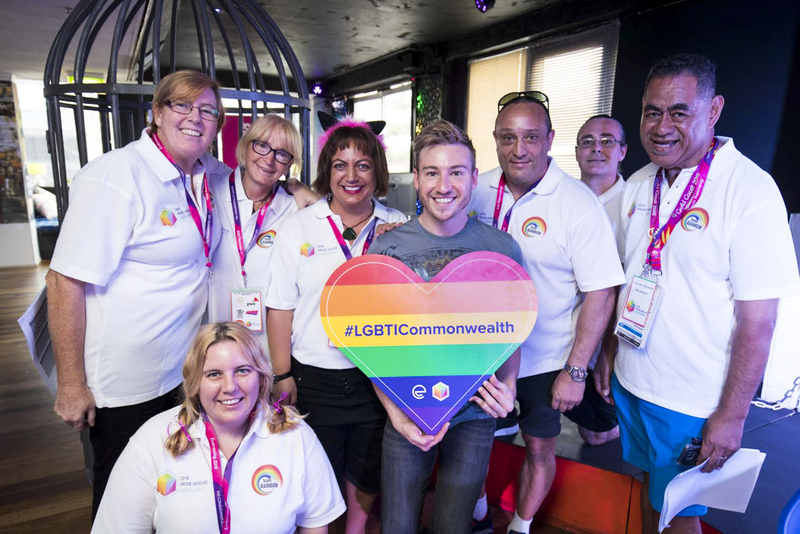 The first openly gay male Olympic champion and Pride House ambassador, Australian diver Matthew Mitcham, said he was thrilled with the support the local Games organisation had put into the Pride House project. “I think it’s really amazing that GOLDOC have put in so much thought and consideration into making this as inclusive a Games as possible,” he said. “I came out before my Olympic debut (in Beijing in 2008) and it was 99.9 per cent overwhelmingly positive and supportive from the media. “From the community it was just the most amazing experience, and it actually helped me too. Scottish Minister for Public Health and Sport Aileen Campbell was given a tour of Pride House and said she was delighted the tradition from the 2014 Glasgow Games was being continued. “I think that’s a real focus I have as a Minister for Sports – [to] make sure that sport is inclusive, and that means for absolutely everybody – and that’s why there remains a real importance about having a venue like this at a big sporting gathering like the Commonwealth Games,” Ms Campbell said.